After a surprising 4% GDP print back in July, Bank of Canada Governor Stephen Poloz moved quickly to hike rates three times. However, recent data suggests, Poloz may have moved too quickly. The latest Q4 2017 GDP numbers came in at a disappointing 1.7% growth, well below the Banks forecasted 2.5%. 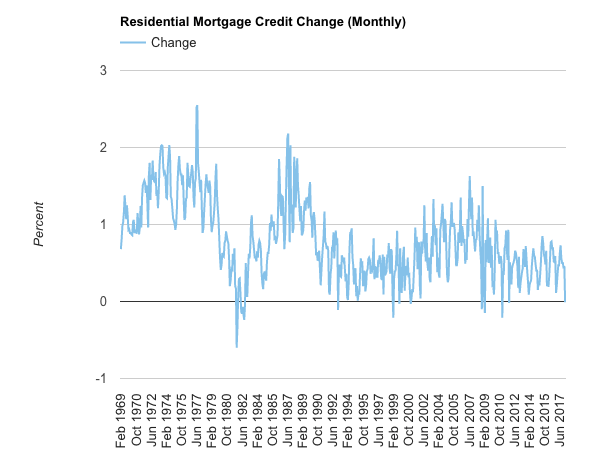 The deceleration of mortgage credit comes as a concern to the overall Canadian economy which has become heavily dependant on an incredibly long credit cycle. Canada’s credit cycle has been responsible for driving a historic housing boom, while inflating total outstanding mortgage credit to $1.519 trillion as of January, 2018. As first reported on Better Dwelling, mortgage credit not only decelerated, it went negative in January, doing so for the first time in over six years. Mortgage credit declined 0.012%, or $184 million in simpler terms. A reduction in mortgage credit growth ultimately translates to a reduction of demand within the real estate market. Facilitated by either a declining willingness of households to borrow, or from banks supplying less credit. 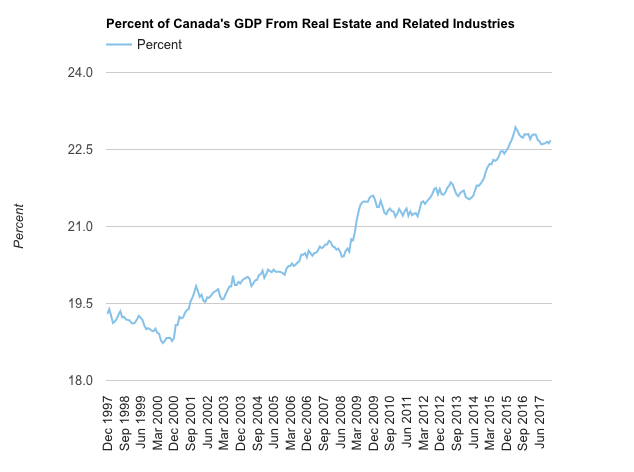 It also runs the risk of a potential household deleveraging, something the Bank of Canada warned finance minister Bill Morneau about last year. And rock the boat it would, Canada’s FIRE sector (Finance, Insurance, and Real Estate) made up 23% of GDP in 2017, above the United States peak of 21.5% in 2009. All hands on deck.